Officially, there is only one section of Ozark Trail called Trace Creek. GORC divides this into North and South sections, mainly for maintenance purposes. The demarcation point is the junction of Trace Creek and the Telleck Branch Connector from Council Bluff Lake. Everything north of this point to Hazel Creek Campground is considered North Trace. 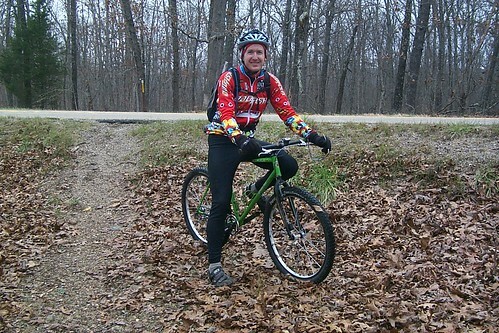 Trace Creek is one of the older sections of the Ozark Trail, built mainly in the late 60's, and is the one whose poor condition in the late 90's spurred John Roth to get active in trail maintenance, leading to the creation of the Ozark Trail Association. 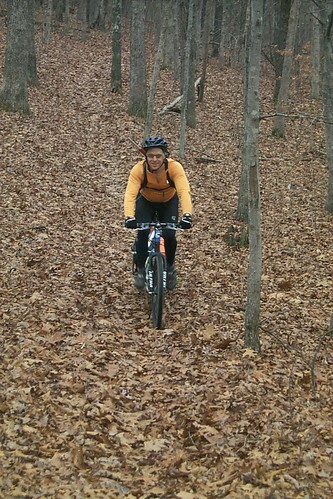 Most riders choose to ride this as an out-and-back beginning from Council Bluff Lake and heading north to Hazel Creek. There are several reasons for this: first is the ease of getting to, and parking at Council Bluff. Secondly, Hazel Creek can vary greatly in depth, from ankle to waist deep, and it's usually not possible to cross without getting something wet. Additionally, the trail north of Hazel Creek is only a little more than a mile, and criss-crossed by paths made by the many ATV users in this area. 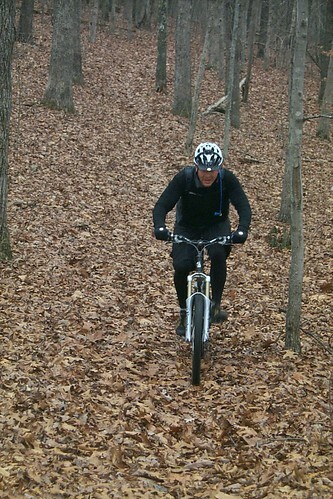 This is one of the few all-weather trails in the area. 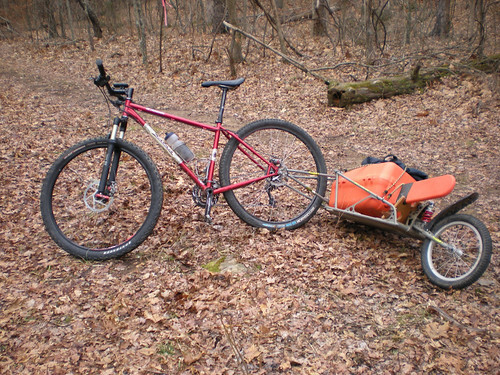 It is mostly sandy hardpack with some rocks, except for a few areas prone to mud at the northern end near the Hazel Creek crossing, at the various creeks the trail crosses, and near the junction with the Telleck Branch Cut-off to Council Bluff. 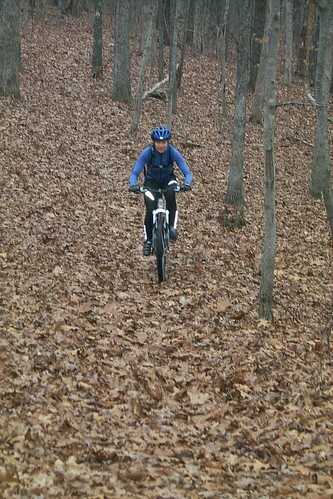 The trail has quite a bit of climbing and descending, but nothing that is sustained or truly steep. Elevation ranges from a low of 900' at the Hazel Creek crossing to around 1330' near the DD crossing just west of Council Bluff. It generally follows contour more in the north, and several lengthy sections run along creek bottoms as you progress southward past the Hwy C crossing before climbing back up to DD. From the north at Hazel Creek Campground- (directions from the OTA website) From the intersection of Highways 8 & Y (about 14-15 miles east of Steelville): go south on Y for 7-8 miles then make a left on CR 657. Go about five miles down this gravel road and make a right into Hazel Creek Campground. There is a parking area a few hundred yards on the right. You have to walk a 100' back up the road to find the trail. An unofficial parking lot on Hwy DD near the entrance to Council Bluff Recreation area- Hwy C or 32 west to DD (turn south from C, or north from 32). Follow the signs to Council Bluff. This lot is 0.5 miles south of the entrance on the west side of DD. From the Telleck Branch Connector off of the Council Bluff Lakeshore Trail- Park at the Council Bluff Recreation Area, and ride the lakeshore trail until you come to the bridge over the Telleck Branch. The trail branches off to the west here. Depending on how far you want to ride, it is also possible to park at the DD/32 parking lot on the Middle Fork, or at the end of the South Trace Creek section on Hwy A. Please see the descriptions of those sections to find out more about these locations. Trail is in great shape. No trees down & growth has been trimmed back. 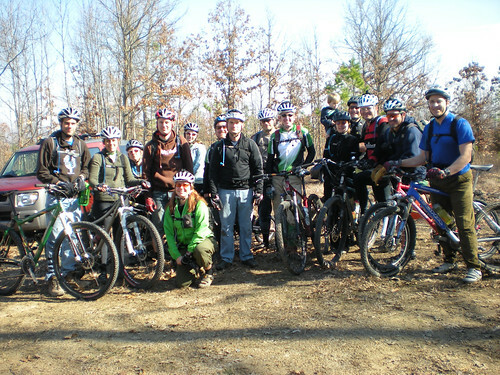 Go get some training rides in for the upcoming OT100/50! Rode from CB to the Chimney & trail is perfect. Buff! Other than A couple trees down but passable between DD/32 and DD north croasing. Conditions were very wet Sunday, but the trail was in great shape. Several small trees down between DD and the Council Bluff connector.